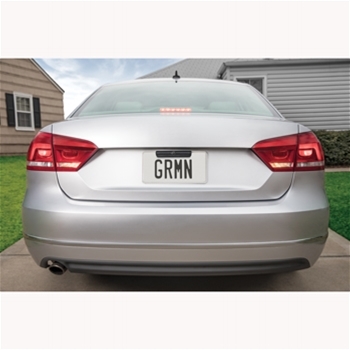 See what’s behind you with the wireless BC 40 Backup Camera! 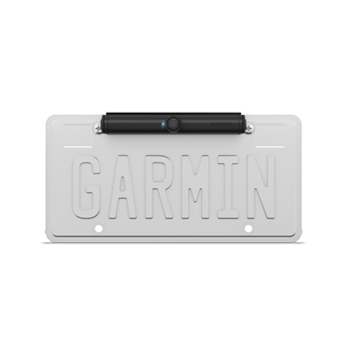 The Garmin BC 40 wireless backup camera is the perfect addition to your vehicle for added safety and peace of mind without breaking the bank. Quickly and easily install the BC 40 by snapping the camera into the included license plate mount and you’re ready to go. Wirelessly pair the BC 40 backup camera to a compatible Wi-Fi enabled Garmin device such as the DriveSmart 55 & Traffic,DriveSmart 65 & Traffic, DriveAssist 51 LMT-S,DriveSmart 61 LMT-S,DriveSmart 51 LMT-S and DriveLuxe 51 LMT-S. Simply use your voice with any of these compatible devices and say “Show Video or Hide Video” to check your surroundings or go back to your navigation screen once you confirm you have a clear path to move your vehicle. Garmin built the BC40 rugged and waterproof to withstand weather and road conditions of any kind and will last approximately 3 months with average use with 2 AA batteries (lithium batteries are recommended). This handy device has the ability to transmit up to 25 feet and offers a wide and clear image of your surroundings behind you. 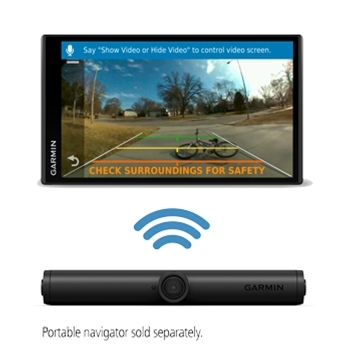 For an added reassurance for the safety of yourself and others, the Garmin BC40 Wireless Backup Camera is a great addition to your vehicle. Operates with 2 AA batteries and lasts up to 3 months!